2 x 2metre planks of timber, each 4cms wide x 2cms deep. Liquid Nails or wood glue. Begin by cutting the main trunk 130cms long. Then planks 90, 70, 50 and 30cms long for the branches. Mark the centres of the branches with a pencil so you will know where to position them on the main trunk. Measure down the trunk making marks at every 22cms. Centre and position your first 30cm branch below your first 22cm mark and attach with glue and clamp. Centre and position your next 50cm branch below the next 22cm mark and attach with glue and clamp. Continue attaching the rest of the branches in size order down the main trunk. Glue, clamp and allow to dry. 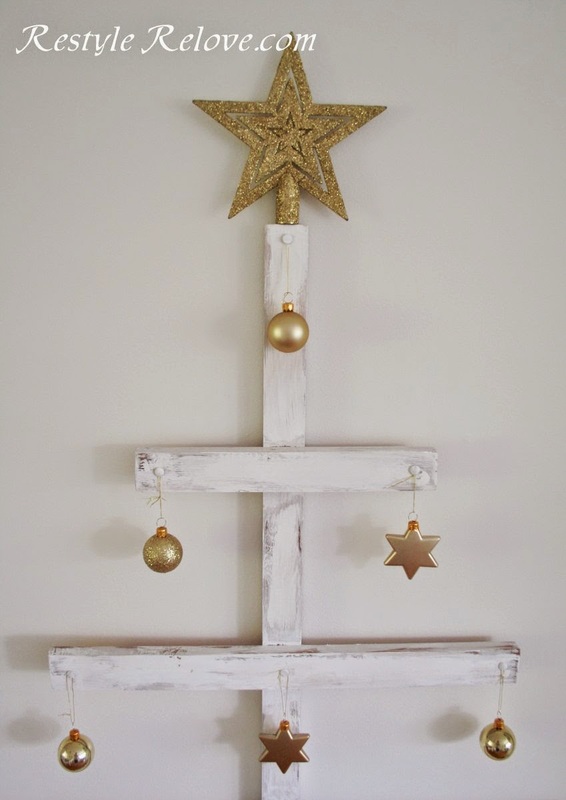 Paint your tree roughly with one coat of white chalk paint, allowing some of the timber to show through. 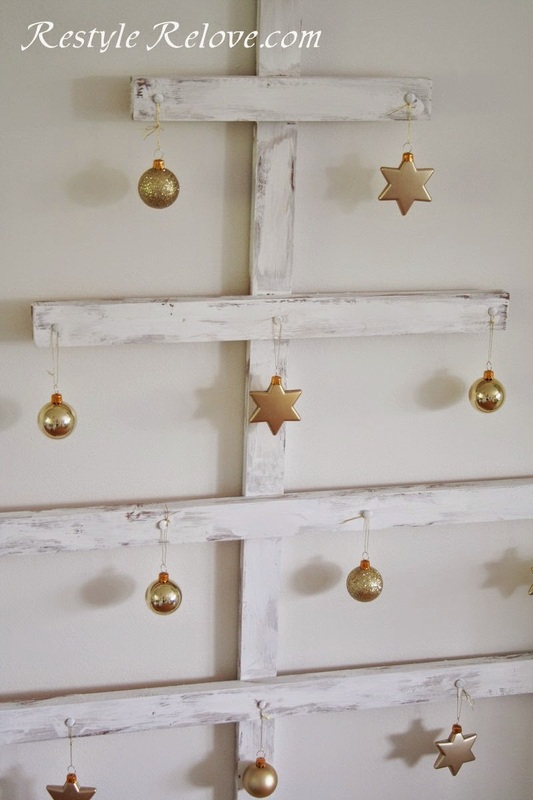 Push thumb tacks through where you would like to hang your decorations and paint the tops white too. Hang your decorations and you are finished. I attached a can ring pull on the back and threaded some twine through it to hang on the wall. 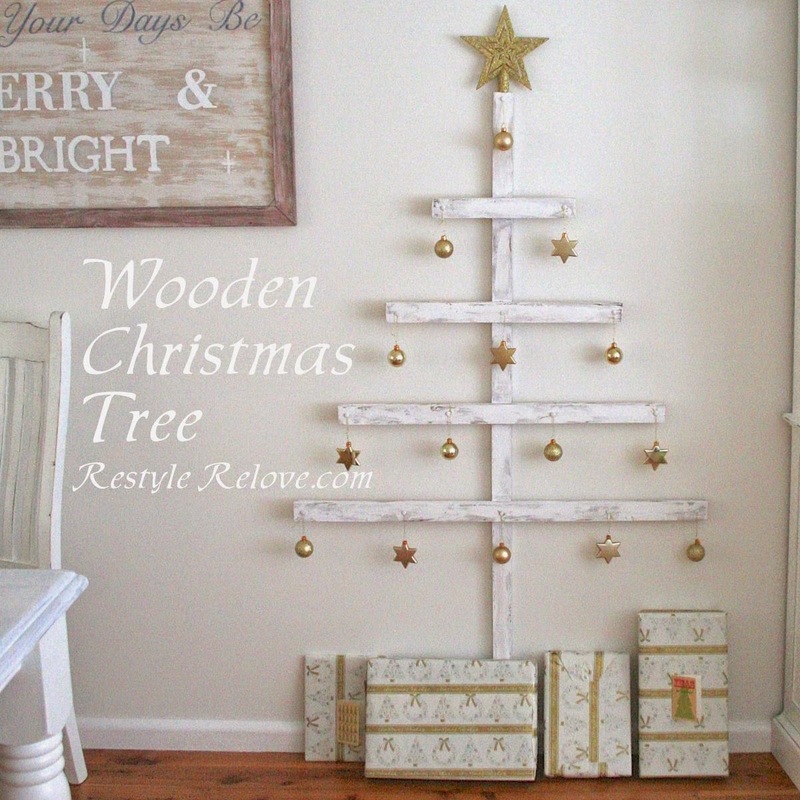 You could also attach a rectangle of wood to the bottom so it is freestanding. 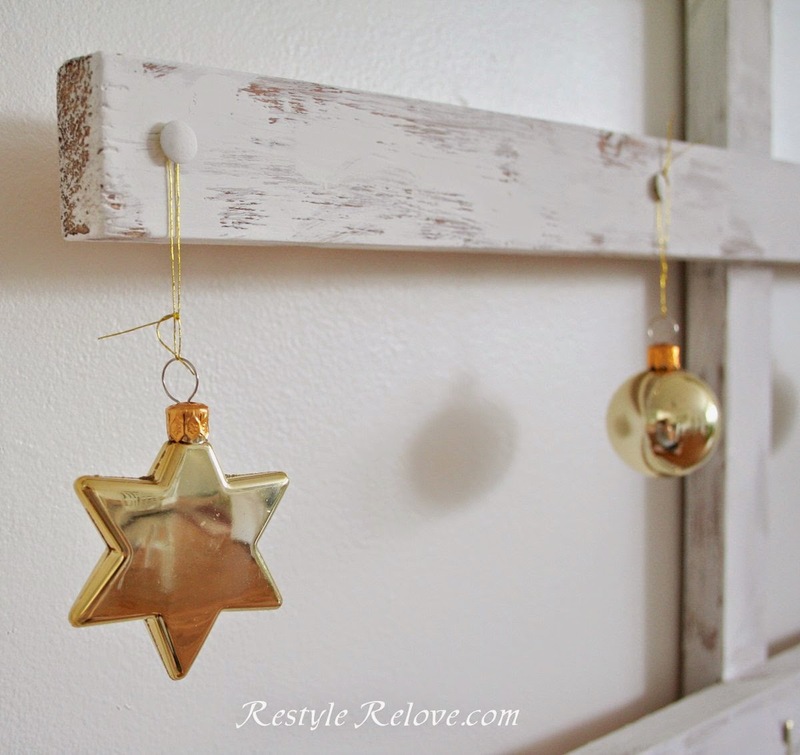 Great idea and it seems pretty simple yet pretty!